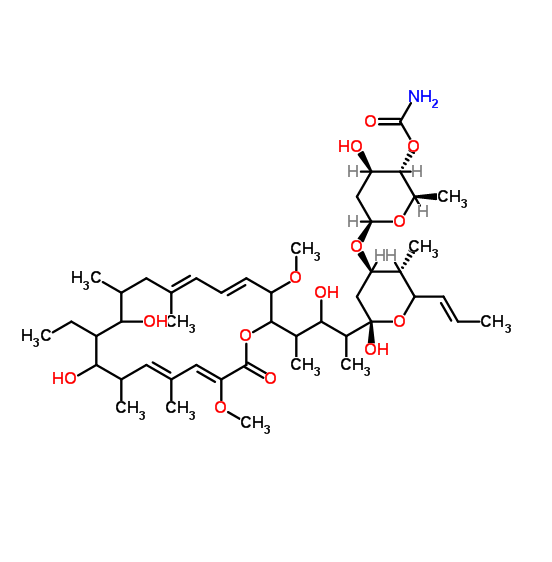 Bafilomycin B1 is a specific inhibitor of vacuolar type H+-ATPase (V-ATPase) in animal cells, plant cells and microorganisms. Bafilomycin B1 can prevent the re-acidification of synaptic vesicles once they have undergone exocytosis. It displays Antibacterial, Antifungal, Antineoplastic, Immunosuppressive properties. Bafilomycin B1 shares the same mode of action and activity as its more accessible Bafilomycin A1 analogue. 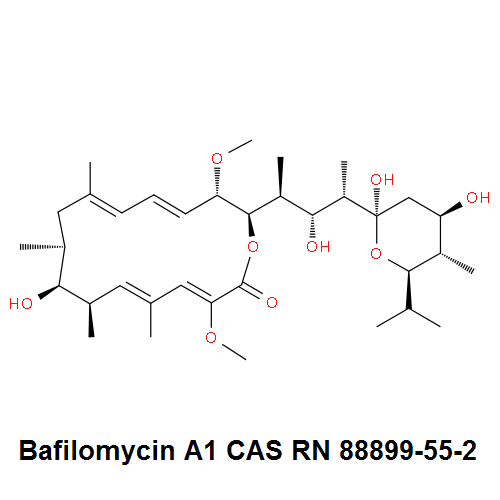 Bafilomycin B1 is broadly active against bacteria, fungi, insects, nematodes and protozoans. Bafilomycin B1 has attracted interest as a potential antiosteoporotic agent in treating bone lytic diseases. Bafilomycins have been considered as possible therapeutic agents in the treatment of gastritis. shipped at ambient temperature. Stored under inert atmosphere. Bafilomycins specificly inhibit vacuolar type H+-ATPase (V-ATPase) in animal cells, plant cells and microorganisms. Bafilomycin A1 is useful in distinguishing among different types of ATPases. Bafilomycin A1 can prevent the re-acidification of synaptic vesicles once they have undergone exocytosis. Bafilomycin A1 and B1 significantly attenuate cerebellar granule neuron death resulting from agents that disrupt lysosome. As vacuolar ATPase inhibitors bafilomycins overcome Bcl-​xL-​mediated chemoresistance through restoration of a caspase-​independent apoptotic pathway. Naganuma S, Kuzuya N, Sakai K, Hasumi K, Endo A.
Omura S, Otoguro K, Nishikiori T, Oiwa R, Iwai Y.
J Antibiot (Tokyo). 1981 Oct;34(10):1253-6.